Whether you like to sing a song, dance a cadence, twirl a flag, string a bow, blow a horn, beat a drum… you name it, we got it! During school, after school, large group, small ensemble, free flow, or composed, there are many opportunities to be part of the music environment of Peters Township. Check out our programs. We personally invite you to sing, dance, twirl, string, blow, beat along! The PTHS Mighty Indian Marching Band is an exciting way to perform and travel, across the region, with a group of talented students. For over 40 years the marching band has entertained in parades, half time shows, band festivals, and competed nationally. The marching band is also an excellent leadership opportunity with students chosen as drum majors, section leaders, and instrumental/Color Guard captains. It is comprised of instrumentalists from 8th to 12th grades, Color Guard performers from 9th to 12th grades, and managers from 9th to 12th grades. All interested and eligible students should contact Marching Band Director, Lorne Hyskell, by email at hyskelll@ptsdwebapps.com. The PTHS Wind Symphony is the advanced band in our instrumental department. Students are primarily in 11th & 12th grade and have demonstrated a skill level appropriate with the level of difficulty required for this ensemble. Students are selected into this ensemble via audition, have demonstrated an adequate skill level while being members of the concert band, or promoted based on instrumental needs of the ensemble. 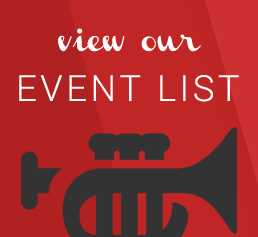 Seating auditions occur in the fall, and top performers are recommended for PMEA Honors and District band festivals. As with all ensembles, this group usually travels every two years to a national adjudication festival. Directed by Mr. Milt Barney. 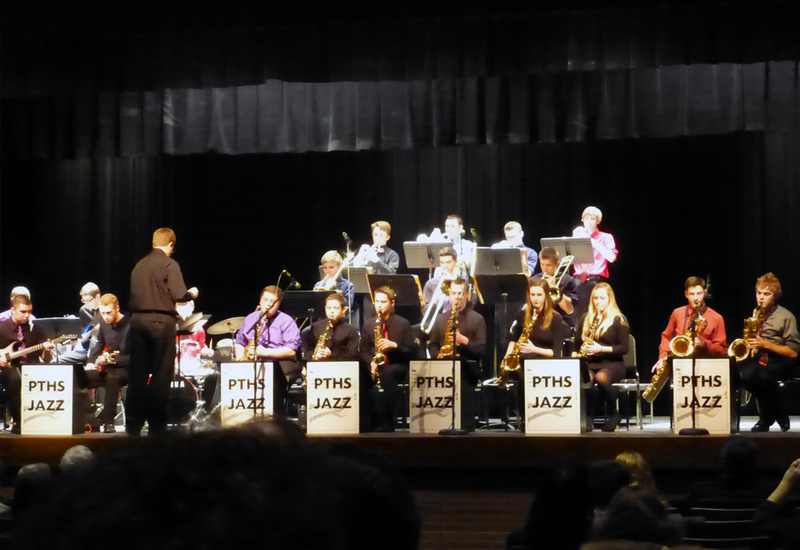 The PTHS Jazz Band is an advanced jazz ensemble that performs music from several genres of jazz and commercial music. Students are selected through an audition. 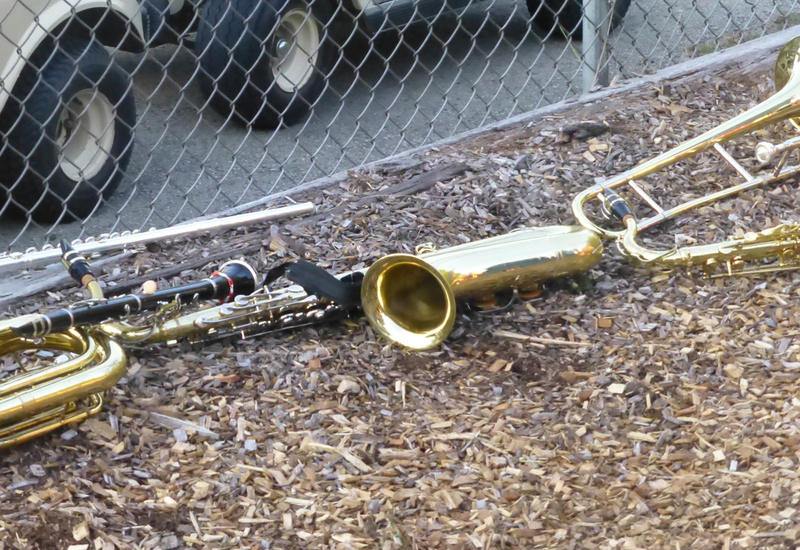 The band includes saxophones, trumpets, trombones, drums, guitar, bass, and keyboards. Students learn the jazz idiom as well as improvisational playing. The band also usually travels every two years and performs in local community events each year. This is a curriculum band and rehearses every day. Students who demonstrate excellent skills are recommended by the director for PMEA Honors jazz and other extra-curricular opportunities. Directed by Mr. Milt Barney. 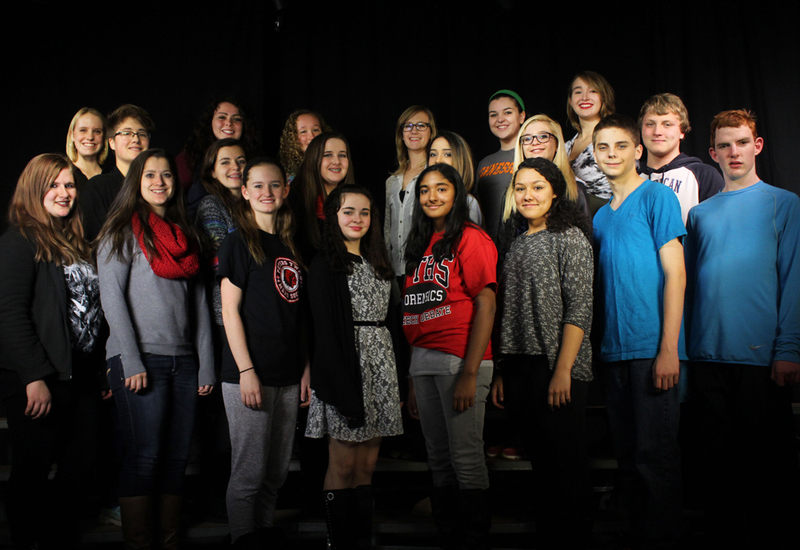 Mixed Choir is a performing ensemble primarily for freshmen. Vocal technique, music reading, IPA and increased musical awareness are stressed. Traditional, popular, jazz, folk, and Broadway selections are performed. This group performs independently and with the other choirs at least twice per year, and serves as a preparatory experience for membership in Concert and Symphonic Choirs. Opportunities exist for qualified students to perform as soloists, in trios, quartets and in County, District, Honors, Regional and All-State chorus festivals. Directed by Mr. Ryan Perrotte.